1. BBC Coal House - I had no idea there had been another one of these in the BBC House series. 1940's House was my favorite, but this one looks just as fascinating - 3 families transported to a 1927 Welsh coal mining town. You can watch the 1st episode on YouTube here. I'm usually wary of "reality shows", but BBC usually does a good job and they aren't quite as sensationalized as the American counterpart shows. 2. Fort Frederick, MD 18th Century Market Fair - Our first ever Rev War event for us to attend is coming up next month! I am really excited. It's only about an hour away and it will be the perfect chance for us to meet up with a couple of units to see which one we might like to join. We won't be going in costume. I'm not going to put that kind of pressure on myself. The school year will be winding down and April is going to be a very busy month! The most exciting thing is that I heard this is the event to go to because all the sutlers (vendors) will be there selling 18th century wares. Hooray! It's also very affordable (unlike Gettysburg which was ridiculous). 3. 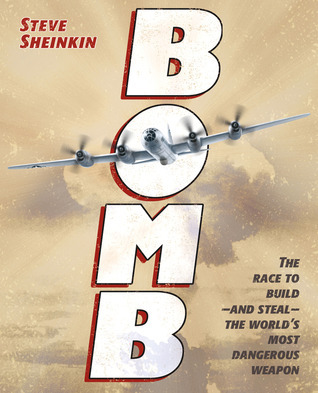 Bomb: The Race to Make - and Steal - the World's Most Dangerous Weapon - I'm currently reading this book. It's by Steve Sheinkin, and I have been pleasantly surprised by how readable and fascinating this story is. The cover has a depiction of the Enola Gay, one of the planes that dropped one of the atomic bombs. Seeing that plane in person gave me the willies, but I have never read an account of how the atomic bomb transpired. It's really fascinating! That's it for now until this week's rationing recipe! They made a sequel Coal House, during WWII!